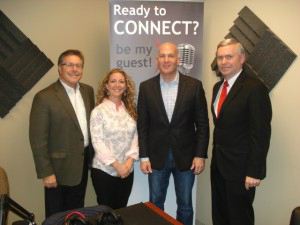 ATLANTA, GA--(Marketwired - January 09, 2015) - On December 3rd, 2014, Silver Lining in the Cloud welcomed to the studio Yasmine Jandali of Starwood Business Group, Noah Pines of Ross & Pines, LLC, and Mike Gifford of the National Business Chamber of Greater Gwinnett. Host Dominick Rainey spoke with these industry experts to learn how businesses can take advantage of their offerings. Attorney Noah Pines is with Ross & Pines, a boutique law firm that handles Personal Injury, Criminal Defense, and Immigration matters in the greater Atlanta area. For the past ten years, Ross & Pines, LLC, have set themselves apart from their competitors by offering a high level of skill and experience that you would usually find only at a large firm, while still offering a personal and friendly law experience. He discussed what makes Ross &Pines successful despite changes in the legal system over the years and pointed helping people be better educated on constitutional rights. "What I do more than other defense attorneys is to take the opportunity early on to give prosecutors exculpatory information, information that they don't have," said Pines. "I do my own investigation in every case and don't rely on police officers. If a police officer says something in a statement, I go find the witness and say, 'is that really what happened?" Yasmine Jandali of Starwood Business Group is a professional business broker who helps business owners with the exit process, and makes handing over their business to quality buyers easier. During the interview she discussed what makes businesses attractive to potential buyers. "The key to selling your business is having strong books and records," she said. "Any qualified buyer is going to want to see exceptional financials and organization within the business." Mike Gifford of the National Business Chamber of Greater Gwinnett also joined the discussion. This Chamber sets itself apart from others by utilizing a business-to-consumer model, as opposed to a business-to-business model used by other Chambers. They apply marketing strategies that are designed to draw customers into their member businesses. To learn more about these featured guests, listen to the entire interview on Silver Lining in the Cloud.